But a new technology being developed on behalf of the U.S. government goes even further – soon officials will be able to scan every single molecule in our bodies. 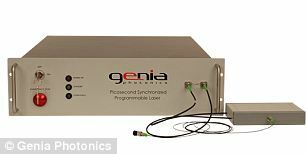 It is reasonable to assume that the Department of Homeland Security is primarily intending to use the Picosecond Programmable Laser scanners in airports, where security is usually at its highest. But the device is small and light enough to be easily portable, and could be installed in any building or even on the street. The invention, while technologically exciting, raises the sinister spectre of government, businesses and individuals having the ability to monitor everyone constantly. As well as national security, the device could be used to everyday law enforcement – for example, it can detect even the tiniest quantity of drugs, such as the trace amounts of cocaine found on many banknotes. An unidentified undersecretary at Homeland Security has predicted that the technology will be used within the next one to two years. Though the process of detecting chemicals on individuals is not new, the significant speed and unmatched accuracy of these scanners makes them stand out against the rest of the market. The new scanners are said to be ten million times faster and one million times more sensitive than the scanners used in airports and border patrols currently. 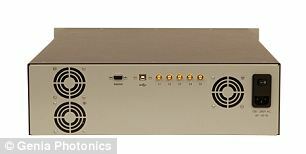 Gizmodo reports that the government subcontracted technology company In-Q-Tel to play the middleman between them and Genia Photonics, the company that has acquired 30 patents relating to the molecular-level scanners. The scanner works by using lasers to evaluate the presence of any chemical traces on people or packages, and then that information is synched up to a computer attached to the small machine. The process of scanning and downloading the information takes only picoseconds- so one-trillionth of a second- which means that security workers would be alerted to any alarming substances as you were approaching them. The implications for this machine are both obvious and widespread, as it will easily lend speed and accuracy to the system, as well as an added element of nonprejudice. 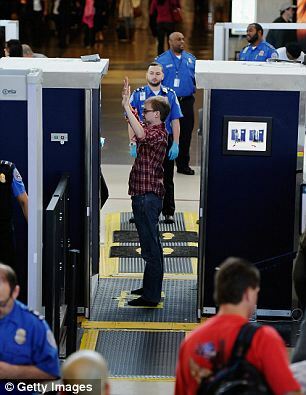 Because it takes such a short amount of time to use the laser technology and interpret the data, security officials will not have to discriminate among suspicious passengers and will have time to use the technology on everyone. The issue there, however, is that passengers will undoubtedly be upset that they are being searching without their knowledge and without any notification. 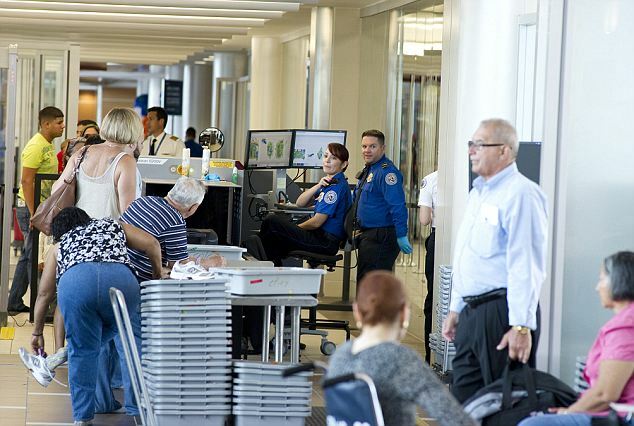 The size and portability of the Picosecond Programmable Laser scanner means that in addition to airports and border points – which are expected to be the main areas of use – there is the possibility that the scanners may be put in police cars and subway stations. The unattributed Gizmodo report, which is said to be written by a PhD student studying renewable energy solutions who chose to remain anonymous, highlights the fact that many of the unanswered questions relating to the government’s prospective implementation of the scanners and the privacy issues at hand have yet to be answered.